Throughout the past few years, The King's Blooming Rose magazine has been a wonderful blessing for our family. For those of you who haven't heard of it before, KBR magazine was started to bring Christian girls together to share and encourage each other in their personal walk with the Lord. Sarah Bryant, the founder/editor of KBR magazine, has the sweetest desire to help other girls see the beauty in femininity, in serving their families, and in a heart that is focused on the Lord. 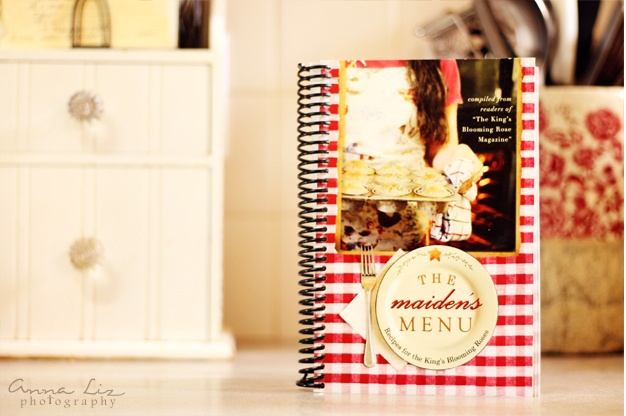 KBR ministries also produces other books and encouraging material for young ladies, and recently I was able to share my photography for their newest publication--a compilation of tried-and-true recipes, interviews from other girls' kitchens, and countless tips--called The Maiden's Menu. It was quite a special surprise to find my work on the cover! 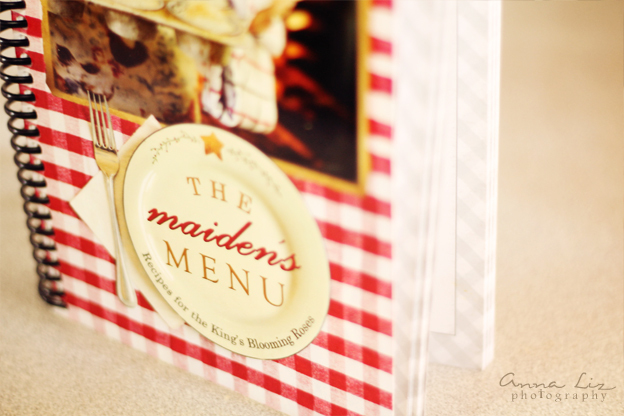 To pick up your own copy of The Maiden's Menu, visit KBR's website (on sale right now!). Or better yet, enter to receive a free copy at Raising Homemaker's giveaway, here! This is a wonderful, helpful cookbook. I am always using it! Anna, I love the focus and colors in the last picture. And the ones on the cookbook...beautiful. You did a great job, sis! Oh, that is really neat! You did a good job with the focus, just enough for us to know the book is in a kitchen, but not too in focus to be distracting. Congratulations! How fun!! I'd love to do a cookbook someday. Love the colors in these shots! I love this Anna, and I am so glad you did a post on it. Congratulations!